because we understand that life is short and it's meant for living. 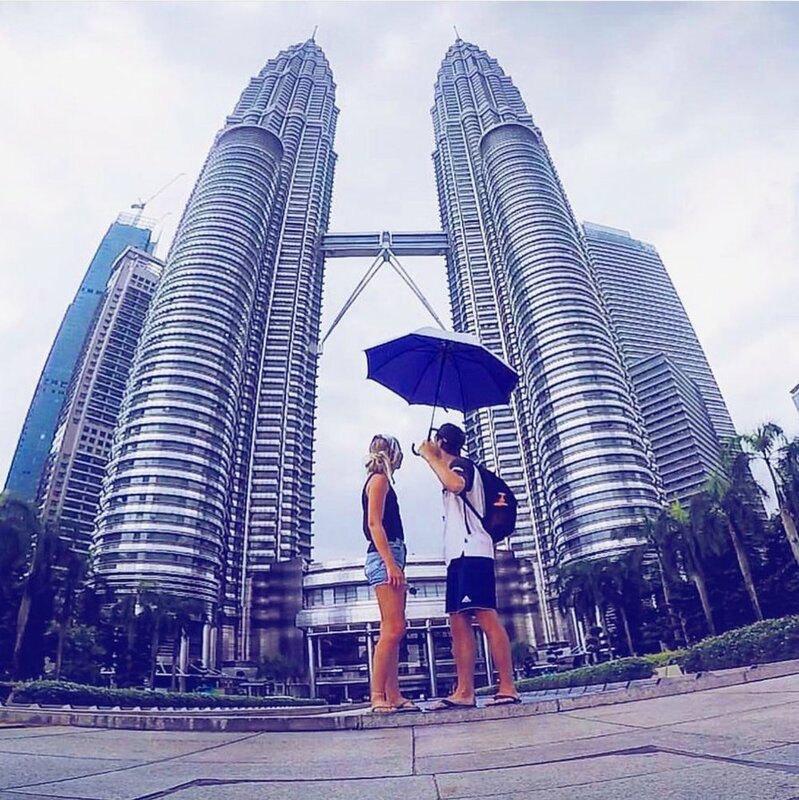 they made it happen and what inspired them to start Together We Travel. The great escape around the globe as together we travel. In a quiet corner of South Bristol UK our journey began seven years ago. At the tender age of seventeen we met and began our story. We were living our lives to the fullest; both of us studying, partying, attending festivals, holidaying with friends, all that teenage stuff. It hit us in recent years that those surrounding us were investing in their first homes, getting married or having children, and there was a rather heavy set of expectations hanging over us. In the seven years that we have been a couple our dream has always been to travel together, but health, work commitments and study have always held us back. However, the wanderlust feeling in our hearts could not be suppressed any longer and two years ago we decided to make our dreams a reality by putting all of our efforts into saving and planning an unforgettable life experience. After all, there is always time to settle in to a career, save for our first home, get married and have children like society says we should. Plus, we need good pictures to fill our home with! Two years ago, we began the long and exciting period of planning and saving to go and experience the world for one year. Both of us worked two jobs in floristry, marketing, education and youth work. Many weekends and evenings were spent putting in overtime meaning we were often passing ships in the night. It was months and months of hard work and determination which sometimes wore us down, but we always knew it would be so worth it in the end. And damn we were right! Enough money was saved to comfortably purchase our first home but we wanted to spend every penny in a year to make memories that would last forever and open our eyes to the wonderful and weird world we live in. Our Journey began in August 2017. After all of our hard work, our plans coming together and a fabulous goodbye party with family and friends, we were ready to travel together. One month in and we had never felt so happy and alive, realising that life was for living. We were busting with the desire to share our story with everyone in the hope of inspiring people to go and experience the world before falling into the social trap. We understand everyone is different and what makes people happy is different but we had never been surrounded by so many happy, smiling people also traveling. This type of journey isn’t for everyone but if you have even the slightest inkling to travel you simply must. If we can make it happen anyone can. On a warm summer's evening on the beautiful tropical island of Fiji, we looked out to the ocean over our cold beers and thought of ‘together we travel', our all-inspiring travel blog. A little inside knowledge is vital when you plan a trip like this one. We have both been lucky enough to go on many holidays around the world in our time but nothing can quite prepare you to travel outside of your comfort zone for a long period of time. Hours and hours were spent researching into the cheapest yet best options for many things such as flights, places to visit, time scales, accommodation... we could go on and on. The best source of research for us was travel blogs; to read the advice of people who have been there and done it is priceless...another inspiration for us to share our story to help fellow dreamers. As it stands we have been away from home for four months travelling five different countries and will be away for a further six months traveling a total of fifteen countries. Along the way we will continue to share our story through our blog and social channels, recommending places to stay and things to do around the globe. Alongside our main aim to inspire, we also hope to work with local businesses and expand our travels as the travel bug is very much alive within us.